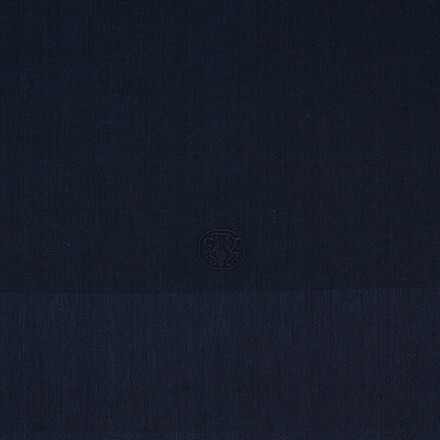 A classic satin weave, linen tablecloth in luxurious quality and beautiful deep blue colour. The material and characteristic wide border make this tablecloth rustic and refined all at the same time. PLAIN easily provides the finishing touch for table settings indoors and out. The beautiful deep blue colour gives the tablecloth a colour saturated expression that is both practical and stylish. Linen is soft and heavy but first and foremost, luxurious. One of the advantages with PLAIN is that the tablecloth has an elegant look even when it hasn’t been ironed. This feature makes it obvious to play with the expression, e.g., by setting the table with PLAIN linen napkins with embroidered logo tied with a loose knot, or decorated with greenery for a sensual and informal ambience. The linen napkins are available in the same blue colour for a uniform expression, and in other beautiful hues for variation. 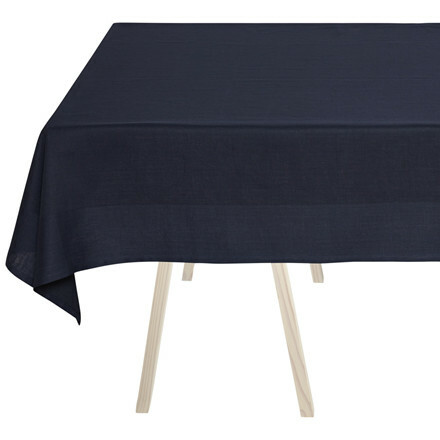 Our own design team designed this linen tablecloth, with a focus on functionality, quality and beauty. These are characteristics and values that have been the trademarks of Georg Jensen Damask for centuries. 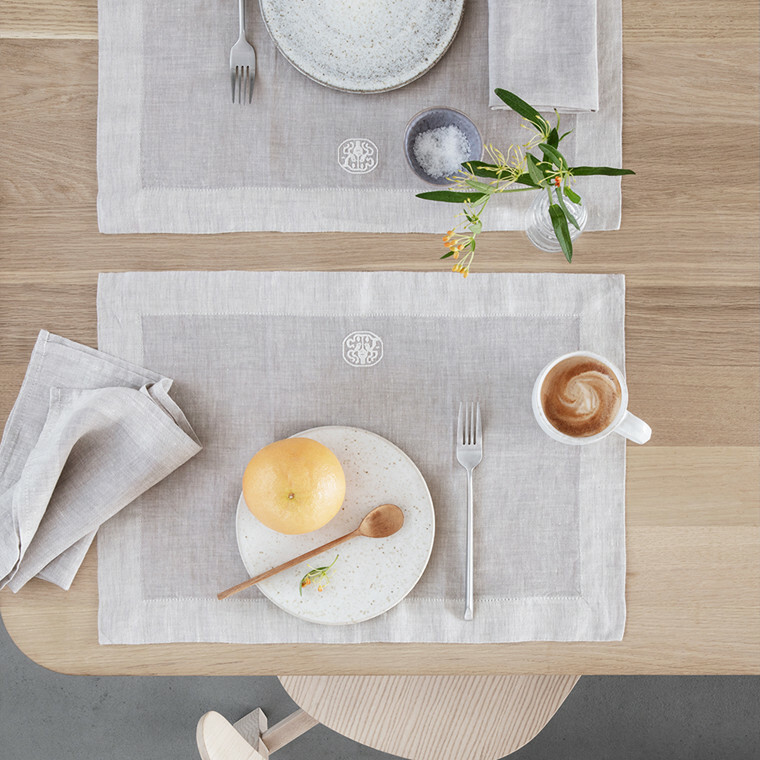 Previously, all of our products were woven in linen, and this tablecloth celebrates the strong traditions of the past in both the choice of material and the beautifully embroidered logo. We recommend that you fold out the product completely before washing, and avoid overfilling the machine. The product will stretch slightly after washing. We recommend that you drip-dry the tablecloth, as it gives the linen a smoother finish and is better for the environment. 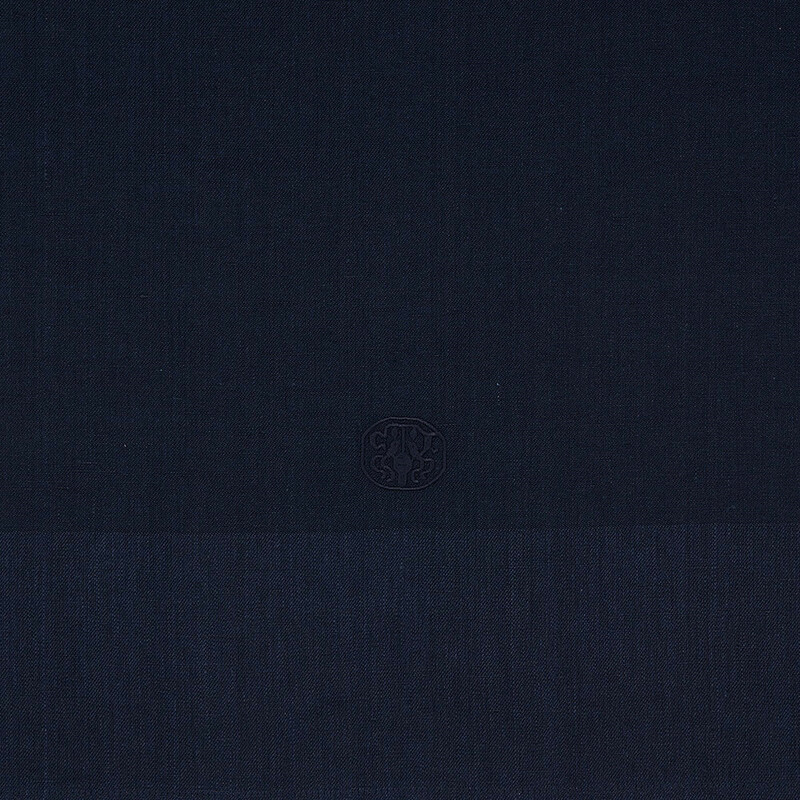 The linen fibres are washed clean at a temperature of 40°C. It is not necessary to wash at a higher temperature if the bedding is not stained. The material can withstand temperatures of up to 60°C, but this is not necessary. The size of the tablecloth depends on how much material you want to hang down from the table. We recommend 25–30 cm at the ends of the table to achieve the nicest drop. 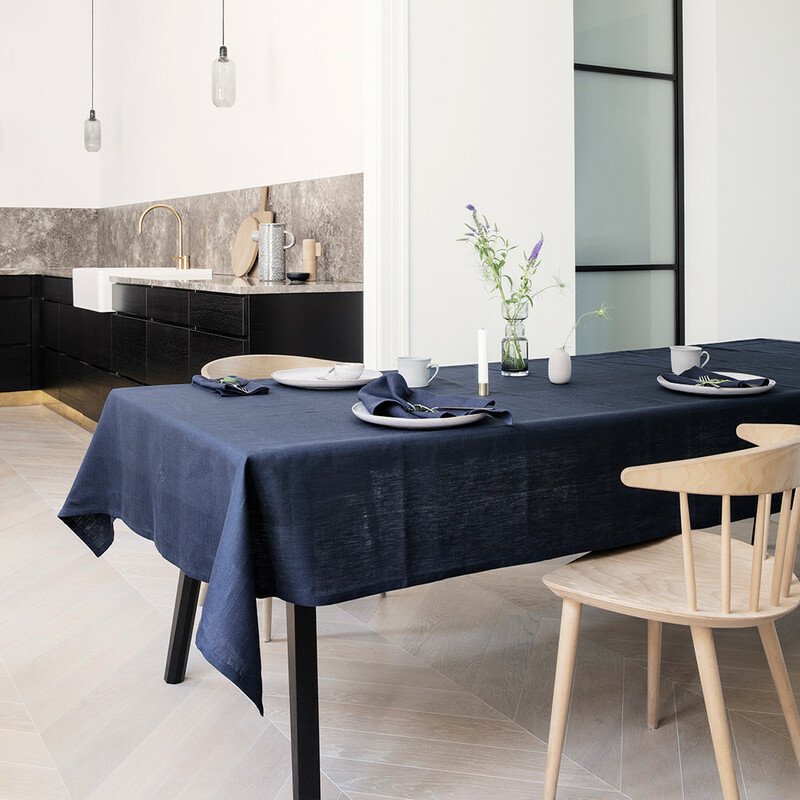 If your table is 1 x 2 metres, for example, we recommend a tablecloth size of 140 x 240 cm.